Founded in 2006, Your Virtual Allies (YVA) has been supporting passionate business owners for over a decade! 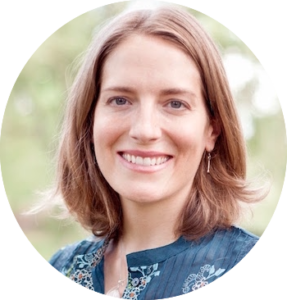 As a ‘Vision Midwife’, Alli helps clients to land their big mission, designing and implementing systems of support for sustainable operations (and sanity). With over 20 years of experience guiding teams and teaching in multiple capacities, her start in Virtual Assistant work quickly grew into Online Business Management with team members across the world. From a thick e-roladex and intuitive skills, Alli creates ‘best of breed’ teams to catalyze each business and project. She is a teacher and life-long student of intuitive work, Compassionate Communication/NVC, Tantric Hatha Yoga, Kundalini Yoga and many other modalities which contribute to a deep well of resources. Among her innumerable passions are skiing, yoga and personal development – which sometimes all converge into one pure moment. She is in constant exploration of small mountain communities with excellent wifi, immediate access to nature and a strong uprising of conscious community. Alli also offers Intuitive Readings. Her primary training in sacred space setting and working with the unseen realms was within the Academy of Spiritual Education. You can read more here. The writing below is a summary of the deeper aspects of the work that we offer, and enjoy doing together. We share it here as an invitation: we believe that our work together can be sacred. It can be full of joy and grace as we co-create and further launch your divine expressions into the collective field of this planet. If you resonate with this potential, we hope you’ll be in touch for further exploration. “I speak to many people who have a growing sense that we have been trying to do things alone for far too long. There are conversations happening all over the world about the need to create much more powerful structures of support. And about how it is time to move into a much deeper level of collaboration. This experience of support and collaboration is what has been so nourishing and life changing for me, in my work with Alli. To explore the many benefits YVA can bring to you and your business, book a free consult here.